Recommended recently as a possible contender for the most innovative album of the year award, I did not include it because I hadn't heard it. I have now, and I must say it would not have been misplaced on the list. It moves the category of "solo percussion" into a totally new place, with lots of percussion instruments played simultaneously (and using some electronics, I assume), in one long piece of thirty-seven minutes, with a sense of dynamic unity and structure that go well beyond the traditional solo albums by percussionists. I only know Norwegian percussionist from his performances with "Dans Les Arbres", the widely acclaimed debut album of this French-Norwegian quartet. I also saw them perform and it gives a clue about Zach's incredible ear, attention to detail, inventiveness in sound creation (watch the video below to get an idea), but also in using his instruments to tell a compelling story full of drama, tension and suspense. One of his main skills is to sustain the notes he plays, whether by scraping the skin of his big horizontal drum, or rubbing his drumsticks against the skin or using a bow to make his cymbals resonate, or the use of his panoply of toy objects, resulting in a kind of continuum that functions as the backbone for the rest of the percussion. His big horizontal bass drum equally resonates with all the rest of the percussion. The piece starts slowly with bells chiming, with a loud alarm bell-like sound waking you up, grabbing your attention for hypnotic repetitive plays on his various bells, then it gradually picks up addtional sounds, with sruti box joining, changing the atmosphere from spiritual zen-like simplicity to psychedelic soundscapes, full of expansive spaciousness, and dark gloom, with industrial noise entering, but then over and top of this the hypnotic bells come back, bringing the incredible swell back to calm, with the "industrial" noises now setting the atmosphere, evolving into the most hair-raising and terrifying sounds you can imagine coming from a percussion instrument, like a wounded animal in its death-troes, then perfect calm reigns again, only for the sounds to come back like shadows in a nightmare, and when that's over, the hypnotic bells resume their mad and frenzied chiming, technically identical to the zen-like sounds of the beginning, but dragging with them the aural images of the past half hour, as perfect memories of the just witnessed drama. The identical sound of purity and calm has now become one of madness and perpetual stress. 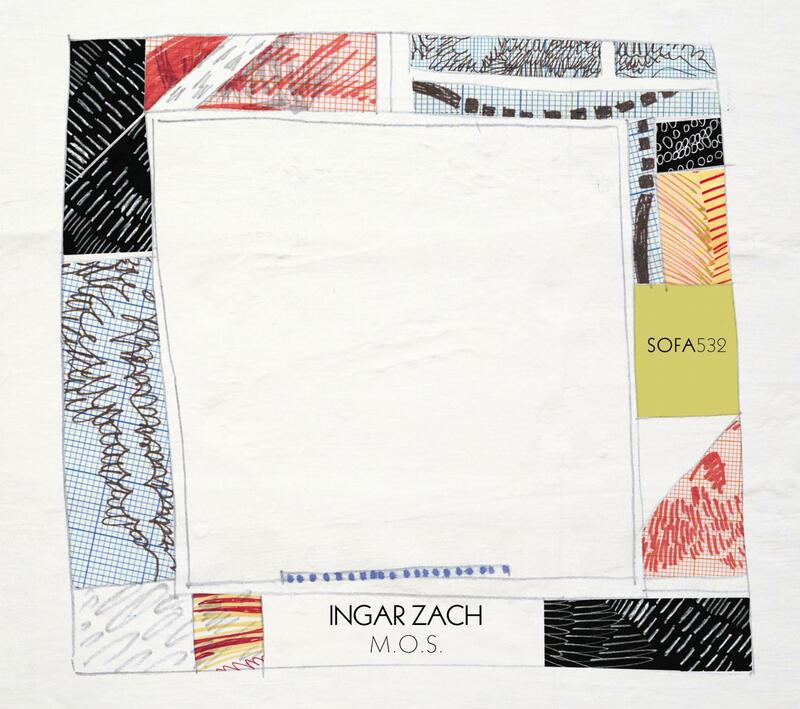 I would like to recommend three albums with Ingar Zach. The first is a duo with Wade Matthews on "electronic synthesis". It was issued by Creative Sources under the title Mørke-lys (darkness light). Then a trio on Another Timbre with Esteban Algora (accordion) and Alessandra Rombolá (flutes & tiles installation). The title is "...de las piedras". And the third is the group MUTA with Kim Myhr (acoustic guitar & preparations) and Jim Denley (alto sax & flutes)plus Ingar Zach on gran cassa & percussion. It is out on Sofa Records. Thank you Stef for your excellent blog which is a daily stop for me!